Can Mongolia’s Brash New President Navigate Between China and Russia? Khaltmaa Battulga addresses his supporters after claiming victory in the runoff presidential election, Ulaanbaatar, Mongolia, July 8, 2017 (Kyodo photo via AP). Just moments after he was sworn in as Mongolia’s fifth democratically elected president earlier this week, Khaltmaa Battulga turned his attention to international affairs. 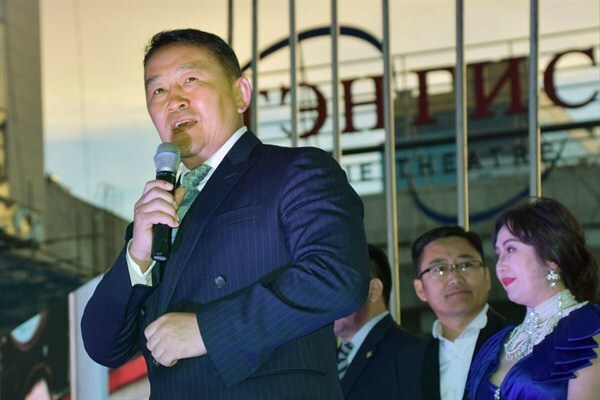 Having just won the second-round runoff, the business tycoon-turned-president met with Russian, Chinese and Japanese delegations in Mongolia’s capital, Ulaanbaatar. Diplomacy is one of the most important responsibilities assigned to the Mongolian president by the country’s constitution. Managing foreign relations with Mongolia’s immediate neighbors, while also building on his predecessor’s legacy of heightened visibility beyond Northeast Asia, will be a central challenge for Battulga.